defeating France. The celebration is to show pride for the soldiers, the country, and the wonderful culture. It is a time for bright colors, dancing, parades, good food, and traditional music. Below are some reviews of Cinco de Mayo books for preschool. Mouse smells some spicy food and ventures out of his hidey-hole to find the food. The greedy cat is following him, but Mouse is too busy to notice. Mouse eats some crumbs of the tacos, flan, tamales, and chorizo that fall as people are eating. But, most of all, Mouse wants some candy from the piñata that is hanging up above. Meanwhile, cat wants a tasty mouse to eat. 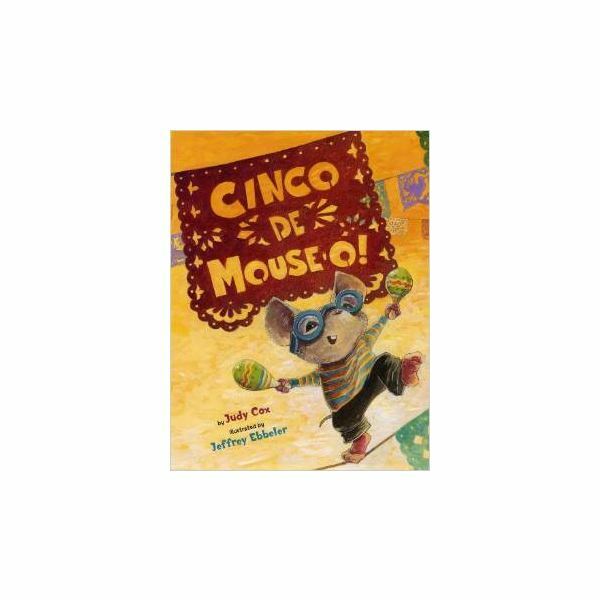 This book is obviously fictional, but, as Mouse searches for food, he sees many signs of the Cinco de Mayo celebration. A few Spanish words are blended throughout the text of the book. In most cases, they are familiar Spanish words and the meanings can be understood through context clues. piñatas (peen-YAH-tahs) – brightly decorated figure usually made with paper mache and containing candy and small toys. While it is hanging above, children try to break it so that everyone can scurry to grab the goodies. Viva! (vee-vah) – Long live! This book has colorful photographs and simple text and explains the history of the Cinco de Mayo celebration. It offers pronunciations for the Spanish words. 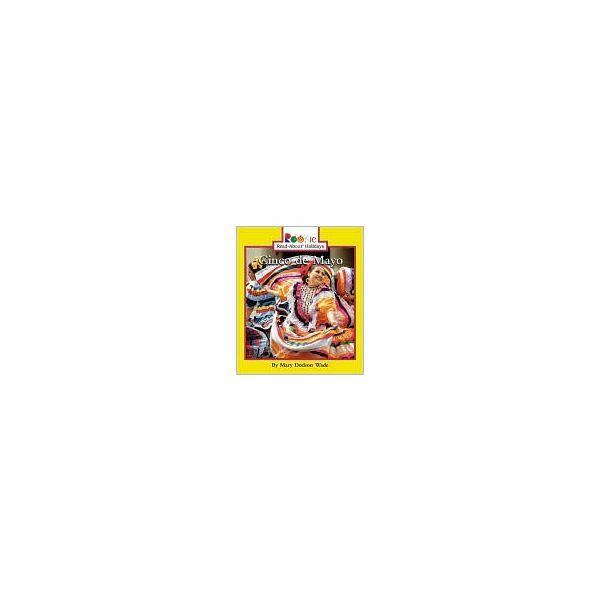 There is a small picture dictionary in the back and an index to help you quickly find information. Any time that you can introduce a second language to preschool children in a natural way like this, take the opportunity! This is the simplest book of the four books on this list. By that, I mean it has simple concepts and common words. Jose (Ho-zay) invites his friend Max to a fiesta. The fiesta is to celebrate Cinco de Mayo. Max learns about the traditions of the holiday. They eat special foods, play music, go to a parade, and hit the piñata. Maria wants to help her family prepare for the Cinco de Mayo celebration. But, every time she tries to do something, she makes mistakes. She drops the cheese while grating it, hits her dad’s thumb with a hammer, breaks her brother’s guitar string, and accidentally rips the lanterns that her sister is hanging. She feels bad about herself. To make her feel better, her sister takes her to the library to enter a drawing contest. She wins! Later she breaks something that she is supposed to break…the piñata! This is a nice story because it shows a family supporting each other. Holiday traditions are mentioned throughout as the family prepares. At the end of the book the reader will find two simple craft ideas, a taco recipe, and a one-page history of the holiday. It’s Spring! What a perfect time to have a celebration. Cinco de Mayo, the fifth of May, is a colorful and joyful holiday filled with Mexican traditions. Your students will have fun listening to books and making crafts to decorate for the fiesta. Que Felicidad! Cinco de Mayo Books for Preschool: Time for a Fiesta! Four Preschool Crafts for Cinco de Mayo: Fiesta Fun!